T-shirts bearing Te Ara's logotype were produced before the 2005 launch of the site, and staff wore them at that launch. In 2012 young users of Te Ara were invited to compete at demonstrating their knowledge of the site, with T-shirts as prizes. 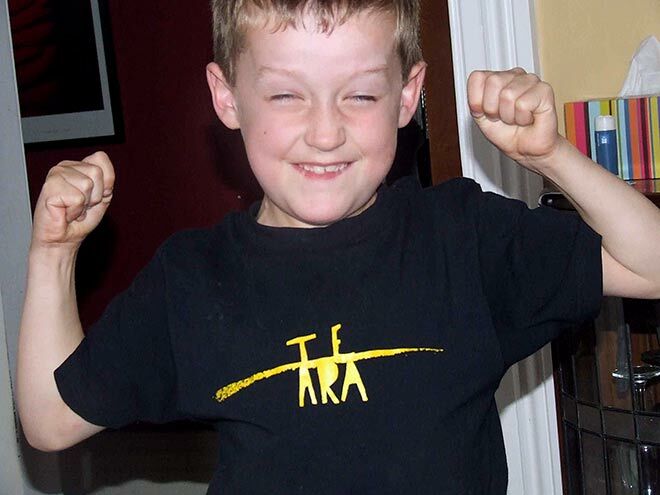 This young winner's delighted reaction to receiving a T-shirt was tweeted by his mother.